Karnataka Chief Minister H D Kumaraswamy today met Congress President Rahul Gandhi here and urged him to take early decision on cabinet expansion of the coalition government. In a brief meeting with the Gandhi at his residence, Kumaraswamy also apprised him about the 100 day performance of the coalition government. 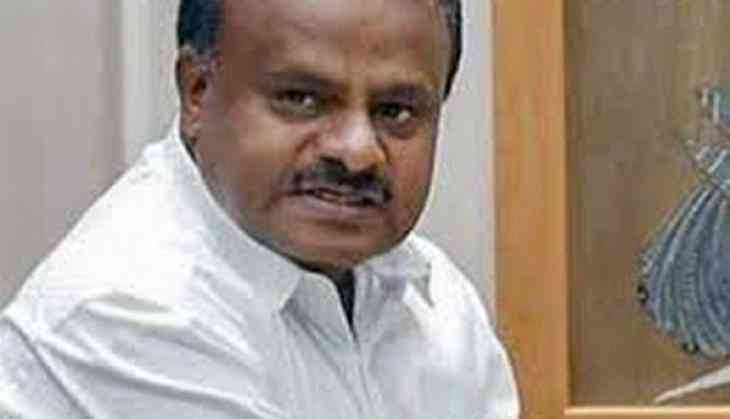 "In the meeting, I have requested Congress President to take early decision on expansion of the cabinet and appointment of corporation Boards chairman," Kumaraswamy told reporters after the meeting. Kumaraswamy's discussions with Gandhi also comes on the eve of the JD(S)-Congress Coordination Committee meeting scheduled tomorrow to iron out differences in the alliance that has arisen after Siddaramaiah's remarks about becoming the state chief minister. Asked about the remarks, he said: "He (Siddaramaiah) is a leader. If he expresses desire to become CM, what's wrong in that." "The coalition government is secure under the leadership of Siddarmaiah. Siddaramaiah is necessary for the coalition government to run safety," Kumaraswamy said. Already, Siddarmaiah has given clarification that he would become the chief minister if people desire in the next election, the CM said. Kumaraswamy is also scheduled to meet the President Ramnath Kovind and Home Minister Rajnath Singh to submit proposal seeking relief to flood hit Kodagu in the state.